Toronto is on the rise – literally. Towering condos and chic new restaurants are popping up all over downtown and starting to spread to the city’s quaint outer neighborhoods. This eastern city is Canada’s fastest-growing urban area and one of North America’s most underrated food destinations. These are the hottest restaurants in Toronto, so make a reservation to sample from Canada’s most diverse culinary scene. Don’t walk too fast on Ossington or you may miss the golden plaque with La Banane etched on it. Bananas don’t play a key role in the menu, but the fun fruit is strategically placed throughout the décor of the glamorous dining room and marble bar. The restaurant offers incredible value on an outstanding and innovative menu featuring traditional French dishes with whimsical twists. 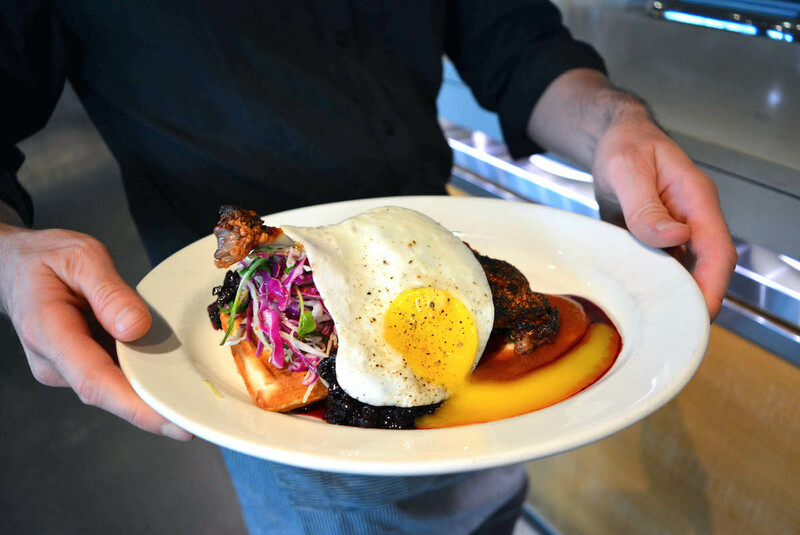 Don’t leave without ordering the Eurobass En Croûte and the Ziggy Stardust egg for dessert. Make a reservation at La Banane. It’s hard not to feel like royalty as you pull up to an actual castle for your steak dinner. 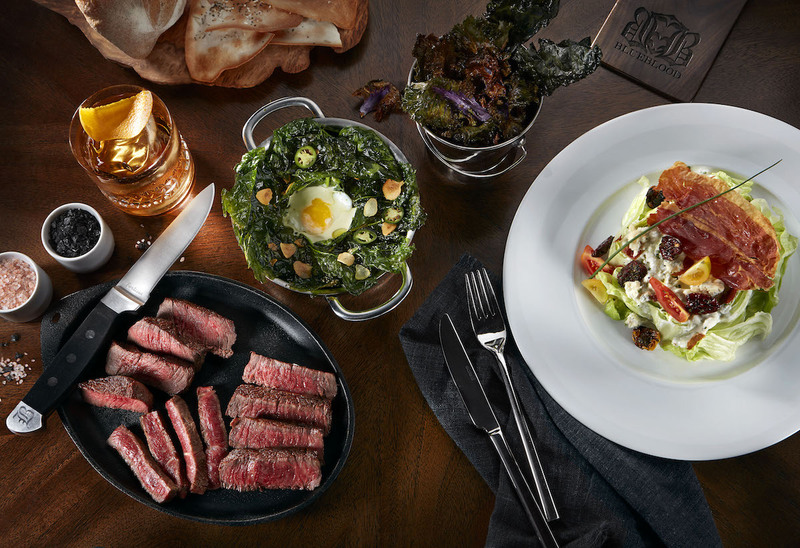 The recently opened Blueblood Steakhouse is located in one wing of Toronto’s iconic Casa Loma. The furnishings are reminiscent of an old-school steakhouse with a touch of glam. The plush seating, dark wood touches, and stunning antler chandeliers completely transform the medieval space. Make any day feel like a special occasion with their seafood tower, the stunning Ahi tuna, and prime cuts of Waygu beef with all the trimmings. Make a reservation at Blueblood Steakhouse. Perched 54 floors above Toronto’s financial district, Canoe is an ultra-classy dining room with sweeping views of the city and the water. You’ll see a lot of men in suits and maybe a proposal or two as you slice through your piece of perfectly cooked stag or slurp up the hearty wild mushroom and truffle soup. Chef John Horen says, “The key to Canoe’s success and sustainability is not only delivering top-notch Canadian cuisine but executing this consistently day in and day out.” Make a reservation at Canoe Restaurant and Bar. 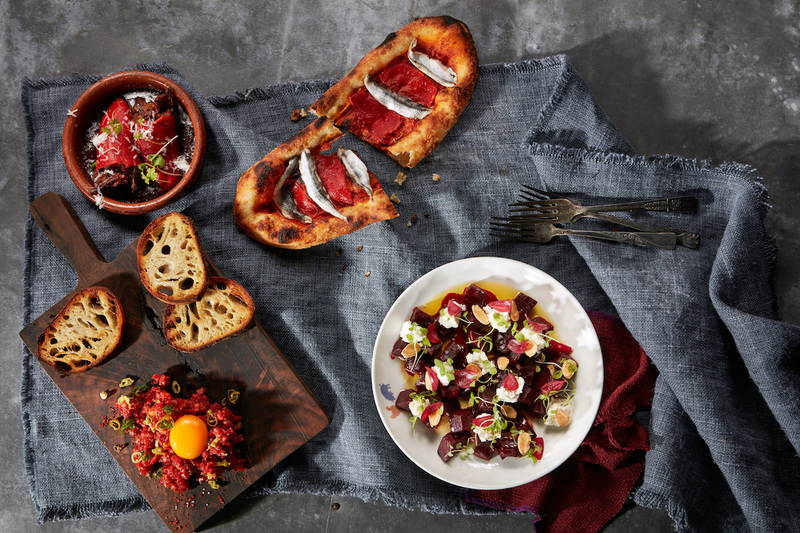 Located inside Yorkdale Shopping Centre, Canada’s premiere retail destination, Jamie’s Italian is celeb chef Jamie Oliver’s latest restaurant. 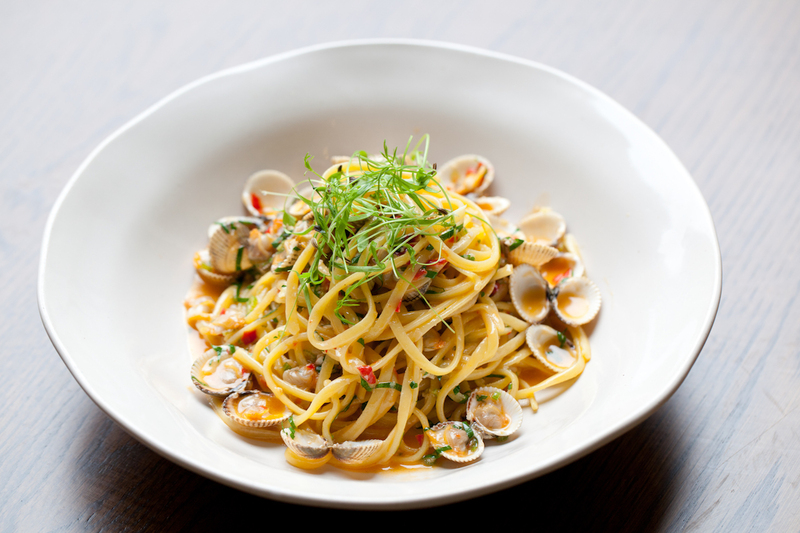 Take a break from perusing the dozens of high-end luxury stores and treat yourself to an Italian feast. The restaurant is spacious with trendy interiors like subway tiled walls and elegant chandeliers. It’s difficult to choose between their pizza and pasta selections — so we recommend sampling both (pro tip: they offer gluten-free pasta). End your meal with the Epic Brownie, and you’ll forget all about the money you just spent shopping. Make a reservation at Jamie’s Italian. This authentic tapas bar off King Street West will transport you to the winding alleys of Barcelona. Spanish wine is imported to pair with every item on the menu from Tartar de Carne and Pimentos Rellenos de Buey to multiple types of traditional paellas include a vegetable-focused selection. The venue is a contrast of black and white with exquisite artwork on the walls. 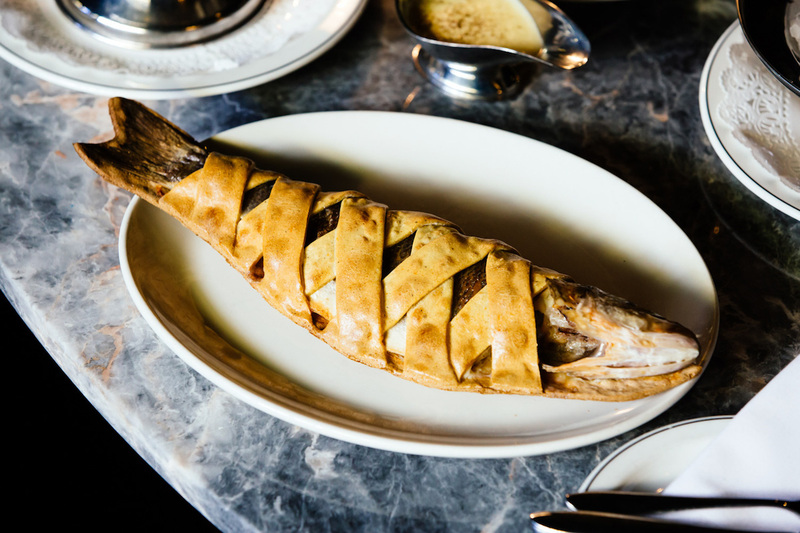 The fish is sourced daily, guaranteeing the freshest ingredients in plates small and large. Book in advance as this hotspot fills up quickly, particularly on weekends. Make a reservation at Patria. Enter – and exit — through the gift shop of the iconic Art Gallery of Ontario for a sleek, two-level restaurant that raises the bar on museum dining. Chef Renee Bellefeuille changes the menu three times a year. 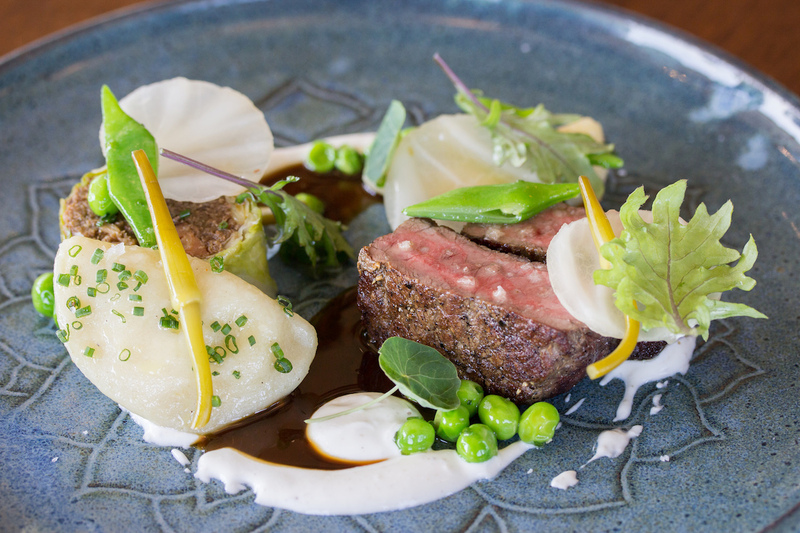 “We only use seasonal produce and local suppliers,” says Bellefeuille. When there is an exhibit like the latest Guillermo del Toro showcase, the chef prepares a special prix fixe with influences from the artwork as well as perennial bistro favorites, including steak frites and a burger with elegant toppings including pickled portobello mushroom, Upper Canada Cheese Co. maple smoked comfort cream, lettuce, and housemade pickles. AGO is usually bustling with museum attendees and member at around 1PM on weekdays with museumgoers and members so plan ahead. Make a reservation at AGO Bistro. This cozy, casual spot on Queen Street specializes in South Asian street food in tapas form. 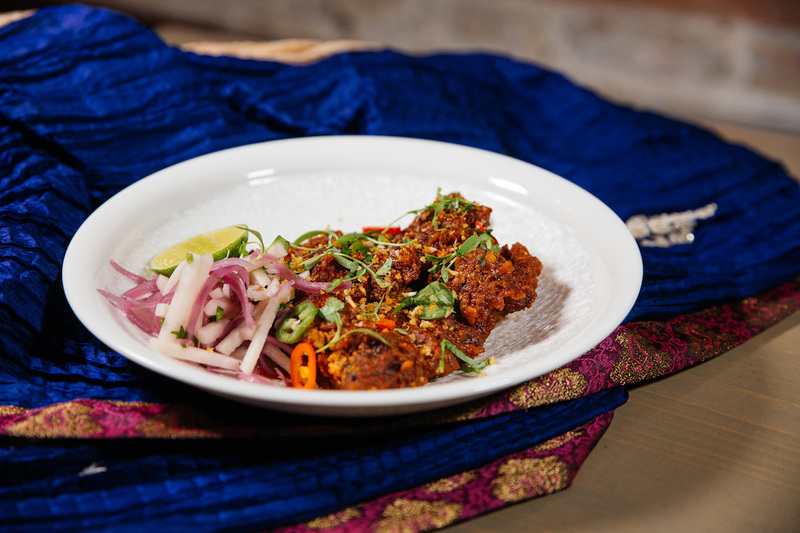 Small plates of Mango Salad and Naan-Kabab are artfully plated and packed with flavor. The narrow exterior is covered in wood paneling and the interior has the industrial chic look with exposed brick and metallic fixtures. The Ismaili Beef Curry and the fried “Chicken 685” with jicama, gochujang, and kashmiri chili are menu highlights so make sure you order an extra serving (or two). Make a reservation at Rickshaw Bar. 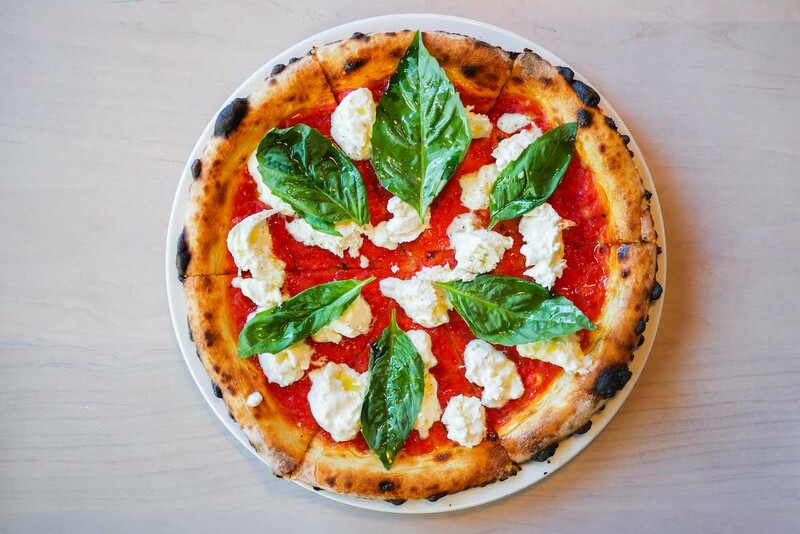 A sprawling Italian destination focusing on finding the finest ingredients to make their homemade pastas and pizzas and housemade ricotta cheese, Figo is the perfect spot for a wood-fired pie and do some people watching through the floor-to-ceiling windows. The natural light highlights the white-wire chairs, wooden tabletops and open, airy feeling of the restaurant. Their savory breakfast pizzas are a brunch highlight. Know before you go: If the weather is nice, request a table in the outdoor patio area. Make a reservation at Figo. Southern-style slow-cooked meats and bourbon come together in this casual, industrial BBQ joint. All the comfort food featured on the menu is made from scratch using authentic Southern recipes. The tables are made of reclaimed wood and lit with antique bunker lights from WWII. If you’re waiting for a table, head upstairs to their whiskey bar, KOHL. 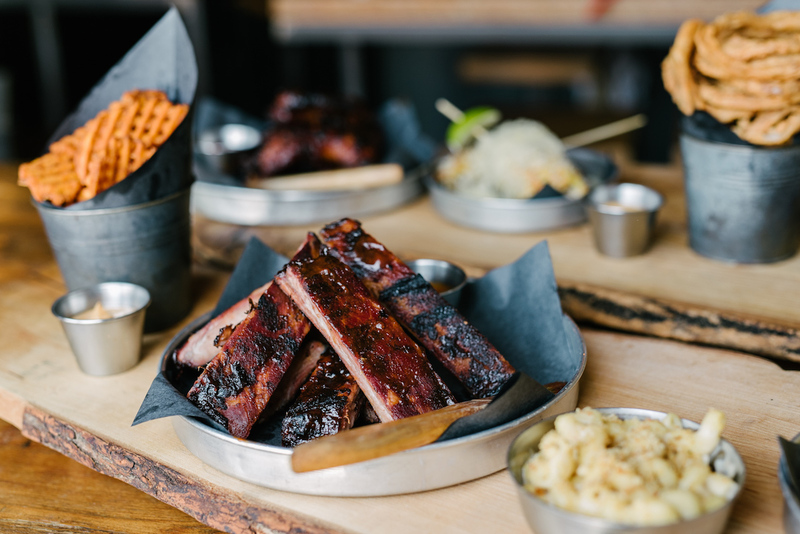 The bar is stocked with nearly 200 types of Scotch, Bourbon and Rye to pair with your Baby Back Ribs and Brisket Baked Beans. Make a reservation at Smoque N’ Bones. Tucked away on a side street in Liberty Village, Mildred’s is an expansive modern restaurant serving comfort food with love. Watch the commuter trains whizz past as you savor their famous blueberry pancakes. There are no brunch reservations, so book for lunch to try the best stack in the city. Also noteworthy are the Duck & Waffles or the Porchetta Pancakes in their breakfast-for-dinner style menu. Happy hour revelers do well on Thursdays with $1 oysters from 5-7PM. Make a reservation at Mildred’s Temple Kitchen. 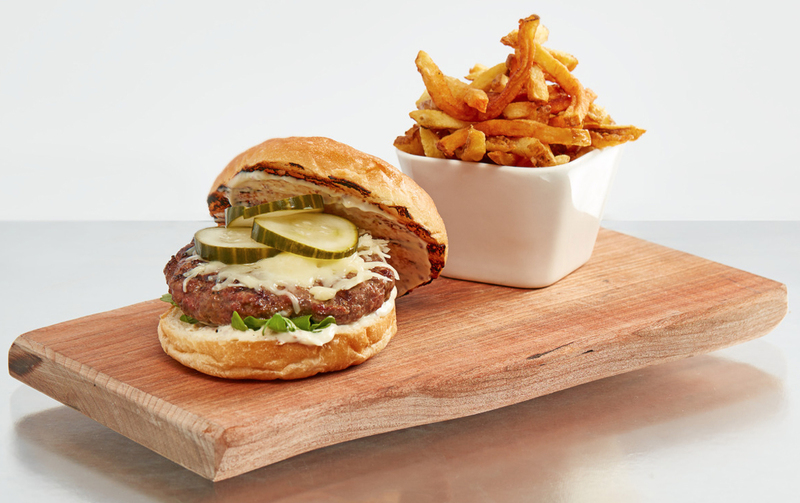 What are your picks for the hottest restaurants in Toronto? Let us know here or over on Facebook, G+, Instagram, Pinterest, or Twitter. And, remember to snap + share your #dishpics with us on Instagram for a chance to win in our weekly giveaway. Photo credits: Rick O’Brien (La Banane + Jamie’s Italian Kitchen); Cindy La (Canoe). East coast city? Someone failed high school geography. How do you see the ocean from Toronto? I stopped reading after that…. You won’t be seeing any ocean from Canoe. Lake Ontario, perhaps, but no ocean. This has been fixed. Thank you for calling that out. My apologies. That has been fixed. Thank you for catching that. My sincere apologies for the error.